Posted On April 25, 2015 by Team iCynosure. As a stylist I am amazed to comprehend how fashion and style have evolved over the years. Historical events, climatic conditions and traditional beliefs have influenced the way people dress throughout the decades. Some styles have remained eternal standing the test of time to reinforce their power as the classics. While some came and disappeared within a single season, falling to the “going out of style” fad of changing trends. Thus by that permutation and combination the only constant in fashion is ‘CHANGE’. Change…. The only constant has not been restricted to fashion styles or makes. It has made a presence felt even in the experience that inculcates fashion into your lifestyle. At the onset fashion was first made available to people like you and me at boutique stores closer home and then with time were converted in huge malls with brands brimming with their latest collections. But for us professional stylists, we had to scale the fashion hubs all over the world to procure prevailing trends for our clientele. But this was so restricting that sometimes fashion wasn’t what fashion was supposed to be. Over the years thanks to globalization and the advancement in technology the world has become a relatively smaller and a hugely close-knit place. Today, I see what’s happening all over the world and indulge in what I like from the comfort of my home. The digital world has enabled me to see what the fashion fraternity has to offer and follow the movers and shakers of the industry. I see what they are wearing, how top celebrities are styled and what brands are churning out one season after another and how I can adopt those to suit my style. Over the last few years online shopping has become such a routine thing for me that I prefer to shop online after comparing prices and products with a click of a mouse. Gone are the days when I made shopping lists or stood in long payment queue or lugged heavy shopping bags around. The beauty of technology has made shopping such a pleasure, for which I have to thank all those geeks working on the regular technological developments. And these crazy geeks don’t stop at anything. After addicting me with online shopping they have taken a step forward, creating mobile applications to keep me abreast with the latest trends when I’m on the go. 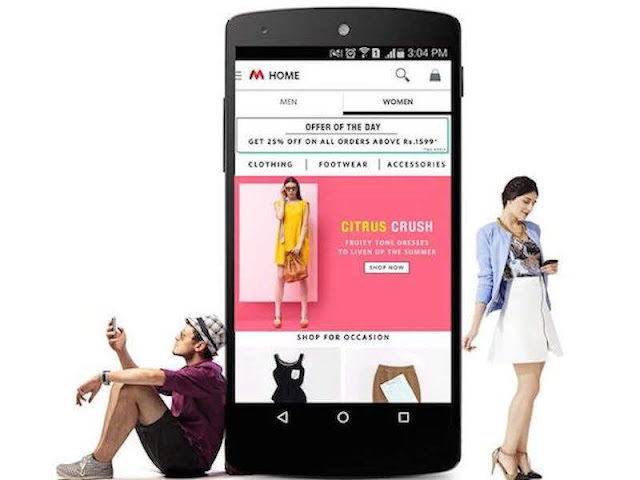 The next big thing in the Fashion-Technology segment is mobile-based applications. The gen-next no longer wants to be grounded (pun intended) and be dependent on laptops or desktops for their online shopping needs. They want to shop on the go… access fashion apps everywhere. So you will ask me what’s the deal about mobile-based apps when I can surf the brand’s mobile site? Well for starters the mediums, mobile site and mobile apps allow me to access the brands but they are definitely not the same. A mobile site is the same as the actual website on a smaller space while a mobile app is a fashion corner on the mobile device. Not only is the app easy to access every time I want to look for a product, it also is convenient and quick. The app is a clever friend that knows my preferences and sends me instant notifications on new collections that would suit my style, availability of products I’m interest in and a definitive better product price. Additionally I believe the mobile-app based shopping will enable a mobile payment option that could be used across various platforms making it secure and safe. But how many brands today have the courage to move from a tried and tested website mode to an app mode? Most play it safe with presence in both the versions, but not the trendsetters. 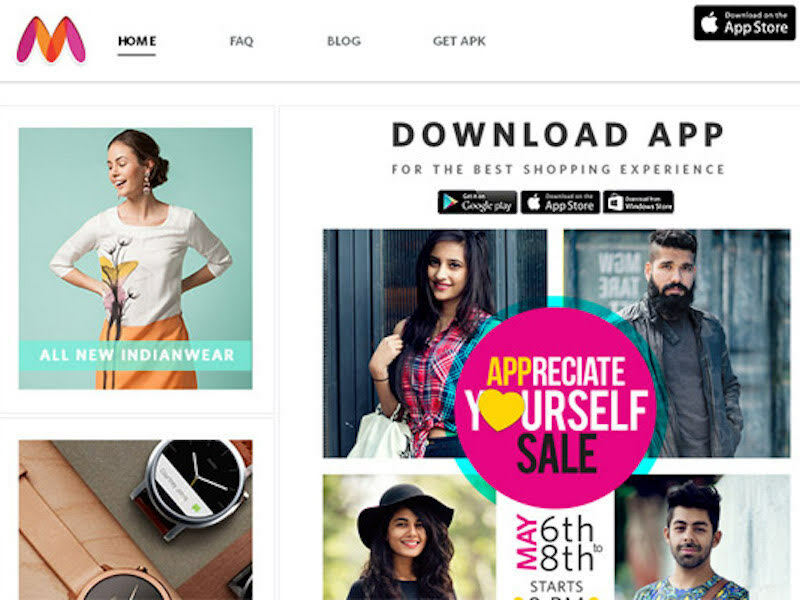 Myntra, the major Indian fashion e-store has announced that keeping in line with the technological and digital advancements the brand will shut down its website and will going forward retail only through its mobile app. The first of its kind initiative to become the only mobile app retailer will give Myntra a huge advantage before the competition catches up. I am looking forward to the systematic phase-out of the website into a more experience enhancing mobile app that shall up my style and fashion ante, cause #ItsPersonal. What are your thoughts about this move?